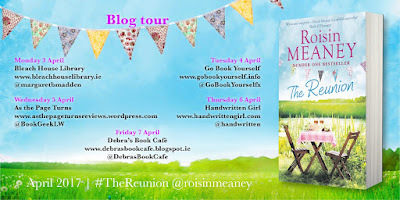 BleachHouseLibrary.ie: Blog Tour: 'The Reunion' by Roisin Meaney. Author Feature and Review. Blog Tour: 'The Reunion' by Roisin Meaney. Author Feature and Review. I am kicking off the blog tour for the PB edition of The Reunion by Roisin Meaney. Huge thanks to the author for her blog feature and to the publishers for inviting me along for the ride. Check out the other stops on the tour this week. There is also a giveaway running over on twitter @margaretbmadden. See pinned post to enter. Open INT. Good Luck! The best part about working from home? You can stay in pjs all day and meet nobody. The worst part about working from home? You can stay in pjs all day and meet nobody. In 2008, with four published novels under my belt, I took the quantum leap and gave up my permanent, pensionable teaching job to become a full-time writer. My parents, both former teachers, threw up their hands in horror at the thought. For me, it wasn’t such a big deal. Granted, I was taking a bit of a risk: despite my third novel having ascended the year before to the giddy heights of number one in the Irish charts (staying there for all of one memorable week) I was far from a household name in the literary world. Despite having had the incredible luck in 2002 to win a two-book publishing deal on the strength of the first three chapters of my first offering, I was still very much a newbie among Irish female writers of contemporary fiction. On the other hand, I was single with no family to support, nobody to feed and clothe but myself – and I’d long been a fan of the charity shop, where you could kit yourself out from head to toe and have change from a tenner. I’d also been lucky enough to buy my house before prices had leapt into the stratosphere, so my mortgage was what estate agents would describe as bijou. My third trump card was that my aforementioned (horrified) parents lived a ten-minute stroll from me, so in the event of imminent starvation all I had to do was lift the phone and request that my mother add half a dozen spuds to the dinner pot. In short, I needed very little to live on, and I was young(ish) and blessed with an optimistic disposition, so I quit the classroom and became a bone fide fulltime writer. Nine years on, I’m still here. Still writing, still solvent. Still not a household name, and certainly not well off in monetary terms, but my fourteenth novel is about to hit the shelves, and each new book garners a few more readers, and my publishers since book three (Hachette Books Ireland) are showing no signs of losing interest. And as for working from home, it’s been wonderful. I took to it right away. I’m pretty organised – years of teaching will do that to you – so I found it easy enough to plan a schedule each time a new book was called for. After that, it was just a matter of nailing down a plot – a month or so of hair-tearing and sleepless nights, but it got done – and then parking myself in front of the laptop every morning once breakfast was dispensed with, and hoping for the best. Thankfully, the schedules were followed and the books emerged. I discovered quite early on that there’s nothing like a deadline to concentrate the mind. It’s one thing to rail against setting boundaries on creativity, but when it’s a case of ‘deliver the manuscript or don’t get paid’, creativity becomes amazingly obliging. To date I’ve met all my first draft deadlines, and coped with the joys of editing the subsequent drafts, and with each new publication I’ve settled more happily into the routine of working from home. And here’s what I’ve learnt. Not having to set an alarm is psychologically great. I say psychologically because I’m a rubbish sleeper and wouldn’t know a lie-in if it smacked me in the face with a pillow. It’s just the idea of not having to wake up at a given hour that puts a smile on my face when I wake up an hour before that – and the smile widens in direct proportion to how heavily the rain is smacking against the bedroom window. Following on from that, staying half the day, or the whole day, in pjs isn’t really what it’s cracked up to be. I rarely do it now, and when I do I feel obscurely guilty, and in nagging need of a shower – and of course Murphy’s law decrees that on those rare occasions the doorbell will definitely ring, and I’ll have to present myself in all my unwashed dishevelment to the caller. Lidl on a Monday morning is a very different animal to Lidl on a Friday evening. Shopping, particularly Christmas shopping, becomes a whole lot easier when you can choose what time to do it. The fridge morphs into your enemy when it’s ten paces from your office. Since telling myself not to snack has as much effect as telling myself to go to sleep, I’ve had to adjust what the fridge contains: the prospect of bingeing on a bowl of carrot sticks or eating an entire cucumber in one sitting holds surprisingly little appeal. Mind you, my fruit bowl empties at an alarming rate – but it’s fruit, which everyone knows has zero calories. I thought I’d miss the workplace interaction more. As long as I make sure I meet up regularly with pals after hours – not a problem – I’m happy to spend my days alone. Although now and again I tuck the laptop under my arm and head out to a coffee shop, just because I can. I’m trying not to sound smug. I suspect I’m failing. The truth is, I love my life. I love working from home, making up stories and getting paid for it. I hope I can keep doing it till the day I keel over and stop breathing – and if that happens when I’m at the office, I’ll die happily. Opening a school reunion invitation brings feelings of uncertainty for sisters, Caroline and Eleanor Plunkett. Do they want to return to their past? Caroline is now a successful designer, splitting her time between the UK and Italy. Eleanor is stuck in a rut, overweight and struggling to connect with her husband and son. Both women may have been born to the same parents, but their lives began to split while they were still in their teens. Can facing up to the past help them improve their present, or is going back the wrong thing to do? It's funny how two siblings can end up in completely different situations. Caroline was the studious one, destined for a career in academia, whilst younger sister Eleanor was the more fun-loving of the two; more interested in her boyfriend and having a laugh with her mates. However, one fateful evening changes their paths in life. Caroline soon finds herself pushed away from the family home and Eleanor's boyfriend dashes all hopes for her own future. In the midst of all this change is the girls mother, who is more concerned with the goings-on of her neighbours than of her own two daughters. Secrets are kept, lies are told and damage is done. Roisin Meaney has a way of telling a story that makes you feel like you are in a room with the characters, hearing them chat to each other, rather than reading words on a page. From very early on in the novel, there is a feeling of genuine concern as to how these two girls will handle their own stories. Caroline is the victim of the most despicable crime, yet is treated as if she is to blame. Her mother takes control of the situation and God help anyone who tries to object. A distance cousin, Florence, steps up to the plate and becomes Caroline's saviour. A wonderfully warm and quirky character, she has a delightful presence throughout the novel. Back in Ireland, Eleanor is weighed down with personal grief and is scared to face up to her past. Her story is addressed further into the book, with memories unfolding which help to explain her distance. The Reunion is a book about families and how they can sometimes be fractured and displaced. The keeping of secrets, the hiding of home-truths and the attempt at showing a united front are not always the right approach to take. Most families have drama within their folds. Sometimes admitting your flaws is the only way to gain solidarity. By using two sisters, both with hidden traumas, the author has created a novel which is both endearing and astute. The dual time frame is very cleverly used and every single character adds something to the overall narrative. Florence is fantastic and her group of older-generation friends are a breath of fresh air. Her bijoux cottage sounds like a place that we would all love to visit, with its mis-matched decor and charity shop finds. Added to the narrative are Caroline's trips to Italy, with its stunning surroundings, warm family get-togethers and an air of change. 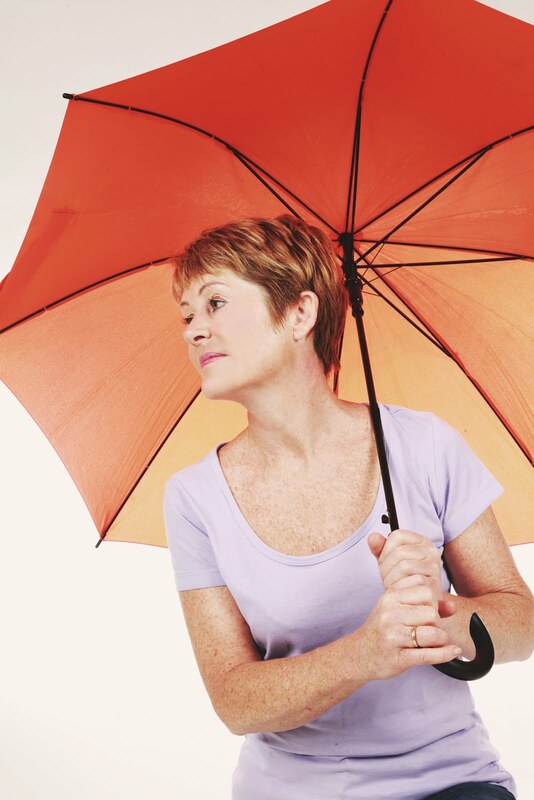 It's easy to see why Roisin Meaney is one of Ireland's best-loved authors. She has a way of bringing her characters to life, making them part of your world as you move from chapter to chapter. Should you spot this on a bookshelf, grab a copy. This is what female fiction is all about.